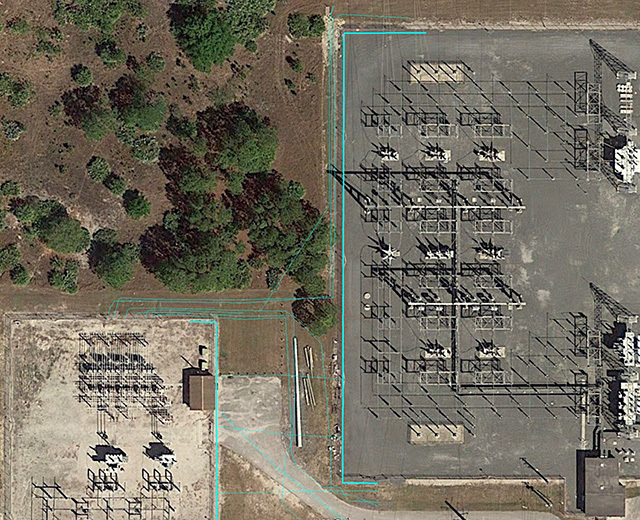 University of Florida Rabon Utility Mapping | DRMP, Inc. 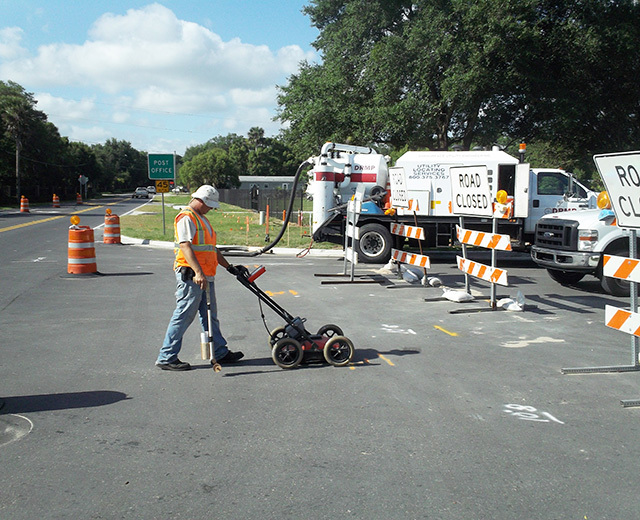 The University of Florida needed updated underground utility data to support several upcoming infrastructure improvement projects on their Gainesville, Florida main campus. 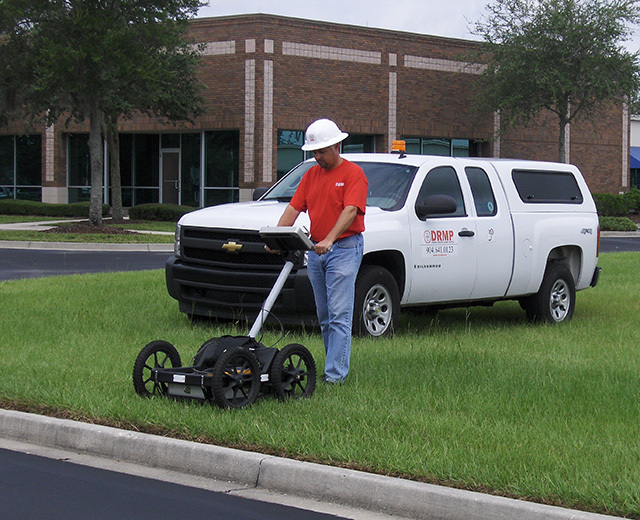 DRMP’s subsurface utility engineering crews provided utility designation for over 150,000-LF of underground utilities and provided data for structure and pipe information on 337 drainage structures and sanitary manholes across the campus. Using existing utility records and staff knowledge, DRMP’s SUE personnel were able to identify and verify the campus’s current utility improvements that are in place and active. 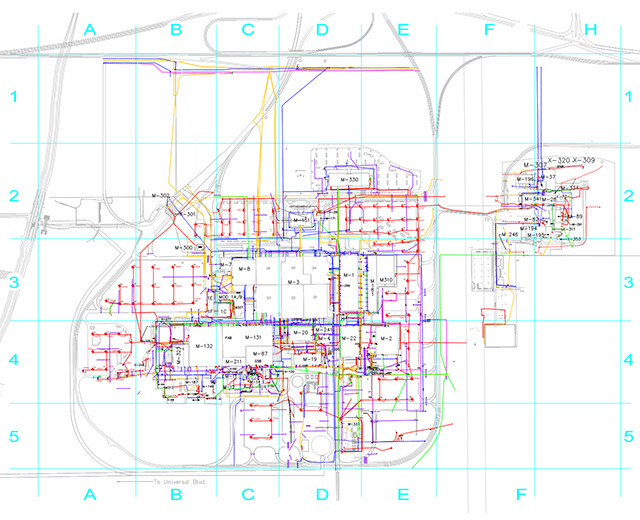 The SUE designations and structure information were surveyed to produce the final deliverable of a Civil3D CAD file. In addition, the survey drawing included footprints of campus buildings along with existing sidewalks and paving adjacent to the utilities. This survey data provides the University’s personnel a map that indicates where all underground utilities and adjacent infrastructure are located for future site improvement planning and design.